I'm trying something new this year, making a monthly review to log what all happened in each of these twelve months! I used to be a diligent journaler, but the days of jotting it all down are few and far between lately. 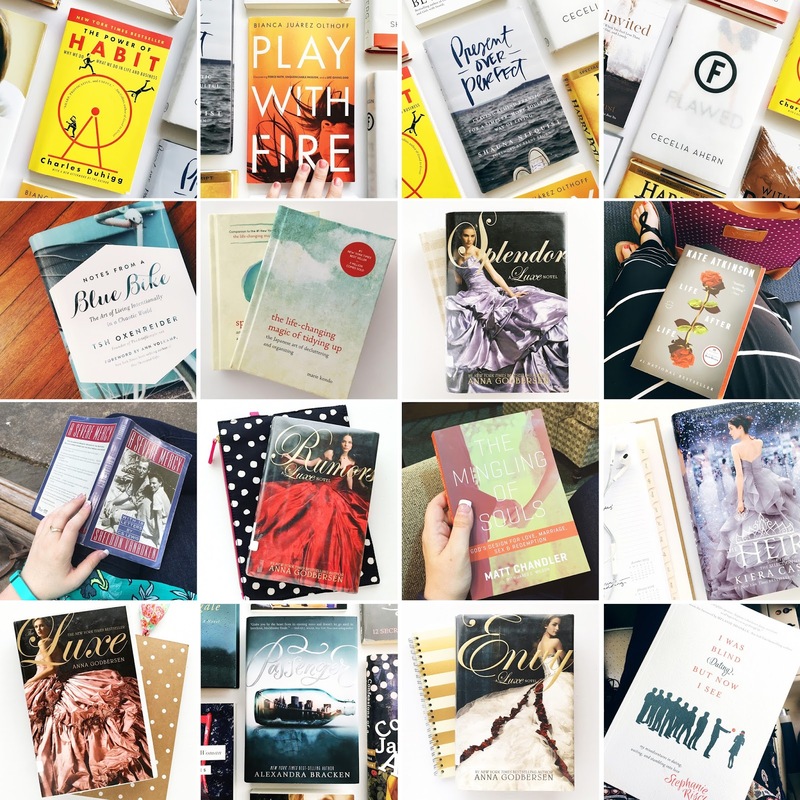 January was FULL and fun, packed with friends and getting my fill of good books and television. I traveled a bit, managed some down time, started our competition show, and started to find a routine or semester #2. Find the highlights below. I've started a playlist for 2017 HERE if you want to check it out! 1. Co-host the Deep in the Heart Retreat. Done, done, and done! To be honest, I'm SO sad it's over. I wrote all about it HERE, and I'd be lying if I said we aren't already dreaming up next year's getaway. 2. Prepare well for the start of school. Just how well I prepared, I'm not too sure, but I got things ready and jumped into this second semester right off the bat. I still have a lot to learn (and procrastination has gotta go), but I'm working on it. 3. Register for my teaching certification test. This did not quite happen... and by not quite I mean it didn't. I'm going to have to wait until my next paycheck to get this one checked off the list. 4. Begin directing Proof for UIL One Act Play. Yes! The show is blocked, their lines are learned, and the set is coming together. I've also signed us up for a couple of clinics and workshops, and I've started putting together my show binder. It's the real deal (and we have 9 weeks of rehearsal instead of 3.5 this time! Hallelujah)! 5. Go to Theatrefest in Galveston, Texas. I spent last Wednesday through Saturday at this event, and it was really so helpful! I was thrilled for a getaway, but not super eager to attend the classes initially, and I'm happy to say some of them surprised me! It left me feeling a bit worn out and over-stimulated --who knew theatre teachers could be so crazy and enthusiastic ;)-- but it was certainly worth the trip. Being by the beach was pretty nice, too! 6. Read 5+ books. Boom! 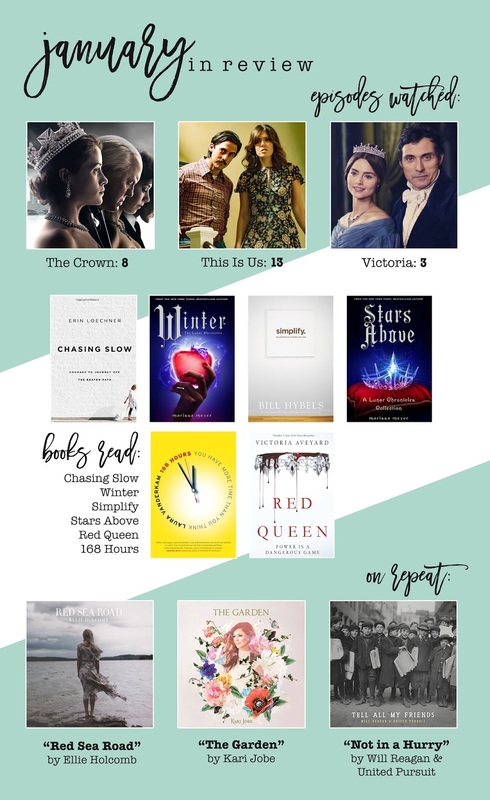 This month I managed to tackle Chasing Slow by Erin Loechner, Winter and Stars Above by Marissa Meyer, Simplify by Bill Hybels and 168 Hours by Laura Vanderkam for the first time, and I re-read Red Queen (that's fun to say!) a second time through. The third book in the series releases in February, so I wanted to make sure that was on this month's list! 7. Complete my Illustrated Faith projects. This one remains to be halfway done. 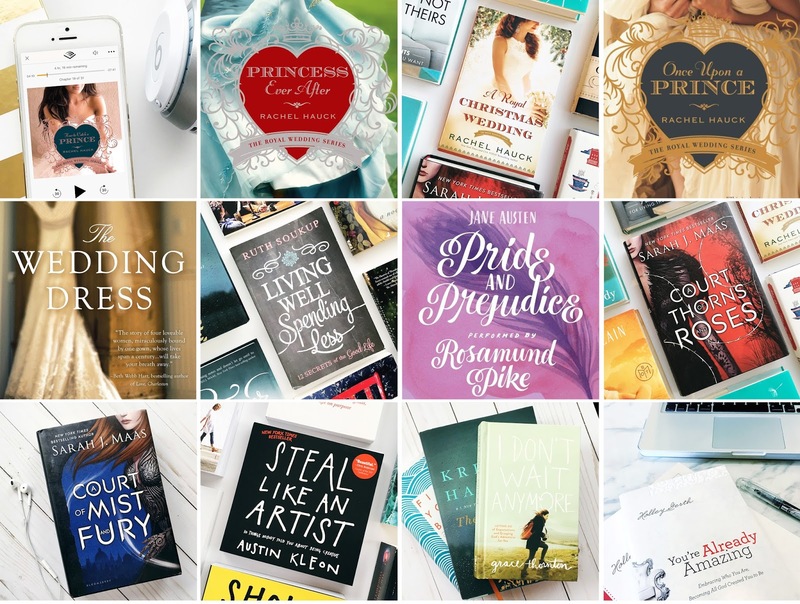 I blogged for Illustrated Faith HERE and HERE, and the next exciting project that launches in February is halfway finished! 8. Meet my January savings goal. Nope. This didn't happen. But I'm learning from my habits this month (thanks to the Mint app) and planning ahead for next month (with Qapital). I also made some bigger purchases, one earlier than expected, namely round trip flights to Seattle and a one-way to Michigan for the summer, plus paying for a hotel for a conference in February, which are one-time expenditures. I'm going to bump up February's savings goal since this month was a bit of a fail. 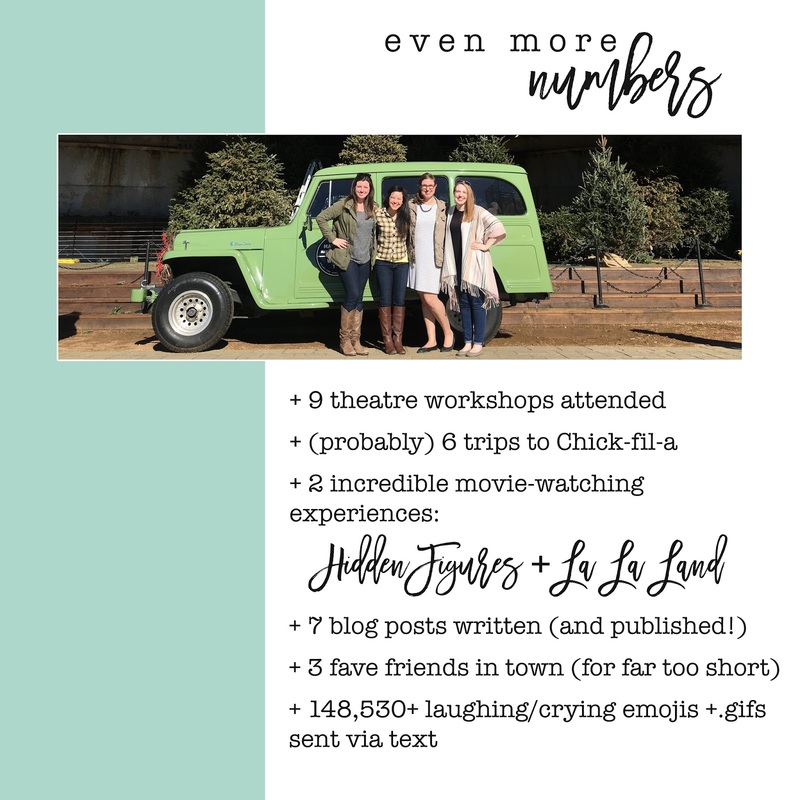 I finally got back into the blogging swing of things, and it has felt oh so good. Check them out below! 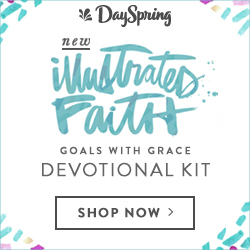 The Goals with Grace devotional kit I wrote for Illustrated Faith launched! The women's march was incredibly inspiring, and I just loved this girl's gumption. I stopped in Independence, Texas to visit Old Baylor for the first time in 8 years. I also discovered Snapchat filters and had a hilarious time trying them all! January was certainly one for the books, but February, I've got some high hopes for you, too. Off we go! Posting goals with only a few days left in the month? Why not? ;) January has been a month brimming with blessings, but it also meant the start of a new semester at school so finding my rhythm has taken a while. It was one of the wisest decisions I could have made to count the first week as a "grace week" to get my bearings and finalize my goals. Like Lara Casey says, "There's nothing magical about January 1st," and this set up gave me space to find what would work and lay the foundation for a good, new year. 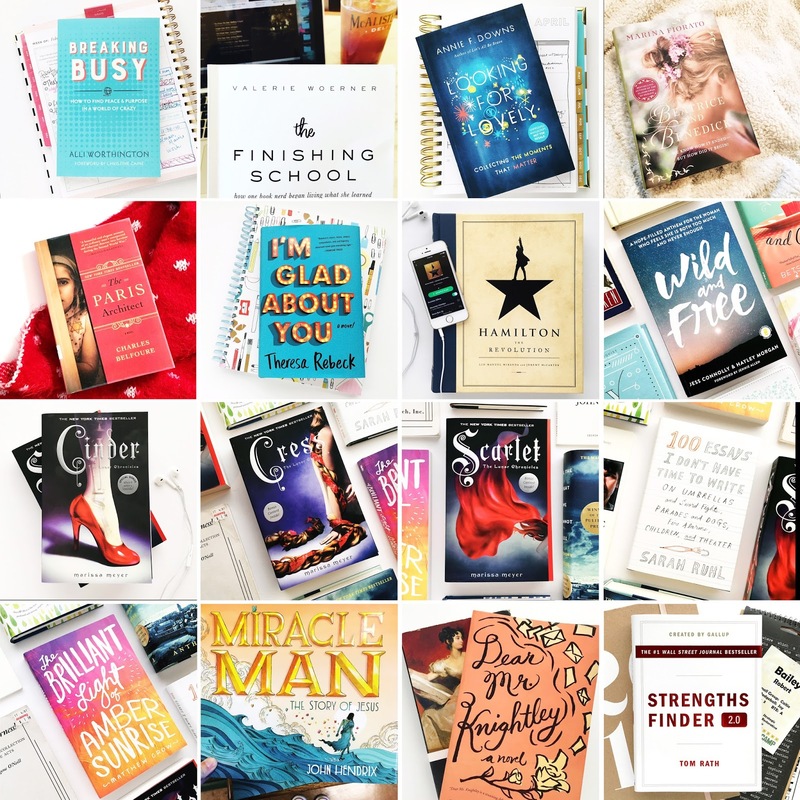 I have used the PowerSheets for 3.5 years now, and I was so excited to create my tending list for January. The formatting looks a little different this year, but I think the changes are for the best! The Cultivate What Matters teams continues to refine the pages and processes, and I can't wait to see how they pan out. 1. Co-host the Deep in the Heart Retreat. 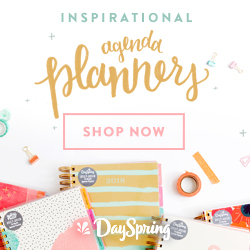 This one makes the list because I'm a firm believer in putting events on the calendar/things I'm looking forward to into my goals as a reminder of what I'll make happen each month. I can actually already cross this off the list, and you can read about it HERE. 2. Prepare well for the start of school. 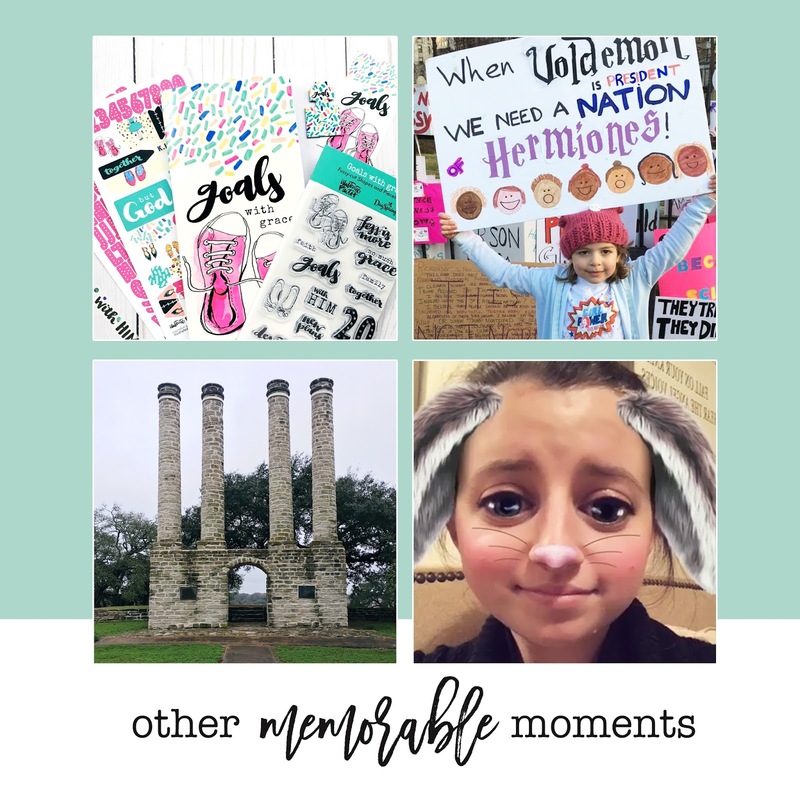 January brought the second semester of my first year of teaching, and I had a lot of things that I needed to get ready to go. I want this year to be about planning well ahead of time to put procrastination out of the picture finally and fully. 3. Register for my teaching certification test. I am halfway through my teaching certification, and all that is left is the pedagogy test. I'm actually hoping to register this week! 4. Begin directing Proof for UIL One Act Play. As part of my job as a high school theatre teacher, I have the joy/challenge of directing a show in the spring for our competition. We chose Proof last fall and I started rehearsals the right before school started. We are well on our way! 5. Go to Theatrefest in Galveston, Texas. I'm here as I write this actually! It's a weekend of workshops and professional development by the sea that I've been looking forward to all year long, and here we are! 6. Read 5+ books. 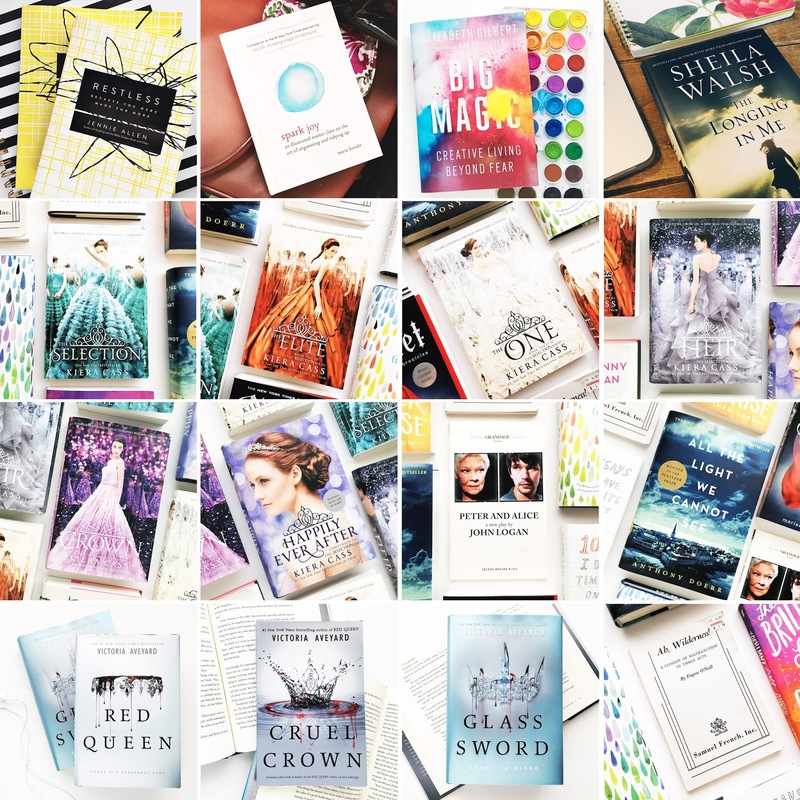 My goal is to read 75 books in 2017, so I need to read at least 6-7 books per month to make it. I expect to do a lot of reading this summer, so I'm taking the first few months slower with a goal of 5 books. I've already finished three and I'm halfway though two more. Only a few days left to tackle them! 7. Complete my Illustrated Faith projects. I have a few exciting things in the works with Illustrated Faith that I cannot wait to share more about in the future, but for now I'll keep it pretty vague. I will say I've completed the first major chunk of a project, and I'm waiting for the final details to come back so I can finish the job. Stay tuned! 8. Meet my January savings goal. A major goal for the year is to be more financially responsible, and I have monthly savings goals to help accomplish this task. January's looking to be a little tricky since I've started to purchase plane tickets for my summer travels, but I hope to put the last of it in with my paycheck next week. I'm also planning to share my weekly and daily goals with you this year to keep myself even more accountable. Some of these directly relate to the above goals or to my yearly goals, and others are smaller tasks I simply want to accomplish as we go. 2. Meal prep for the week on Sunday. 4. Finish a book/play (or 2). 6. No spending during weekdays. It has already been really encouraging to see the progress that I've made so far this month, and they feel like the most purposeful/practical that my monthly/weekly/daily goals have ever been! I'm also changing the way I check in on these goals with a monthly review, so stay tuned for that on Monday! You'll find my goal progress, some high lights from what all went down in January, as well as a few of my favorite things. I can't wait! What have you made happen this January? Every year for the past four years I have chosen a word (or words) of the year to pray through, journal about, and hold as a theme for the 12 months ahead. It has been an incredible journey to look back on, and so interesting to see how these words helped shape the months as they unfolded. 2013 was ADVENTURE and HOPE. 2015 was BRAVE and GOLD. Adventure was the year the Lord led me to Seattle, a true adventure I never could have imagined for myself. He provided the hope and the answer to that hope in the form of sweet community, great jobs, and a beautiful new city. It was a reminder that a life held in open hands can lead to incredible things. Surrender was the year that God re-routed me again, asking me to set down the new life I'd built and move to Oklahoma for graduate school. He told me it would be an isolating season, and while I wanted to run for the hills, by His grace I made it to yet another new city and a new college experience entirely. It was a reminder that He sees the big picture and has goodness in the midst of doubt. 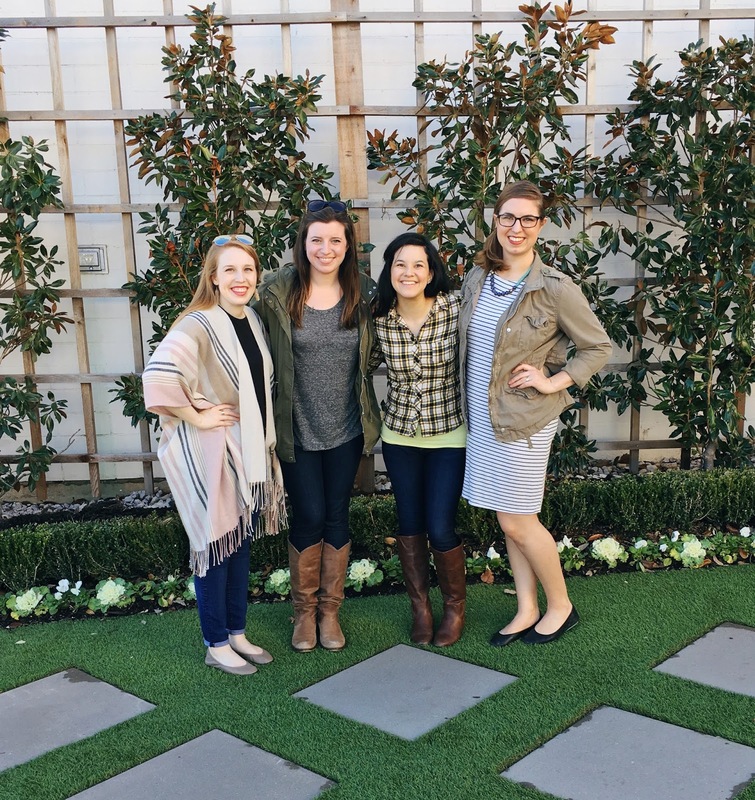 Brave was the year that kept saying yes even when it was hard, choosing to (and praying to) be bold with trust. It held a gift of pure gold as I got to do what I love as the lead in a play that forever changed my life, then in the fall directed a show that means just as much. It was a reminder that God gives us talents and passions for a reason, and He will equip us to take the leaps of faith. Believe it or not, I never wrote in-depth about my word of the year for last year, but let me tell you it did WORK. I had to choose to believe in the goodness of God many times, as 2016 held many months of highs and lows, hopes unfulfilled and disappointments. It also held answered prayers and glimpses of His grandeur as He showed up again and again along the way. It was a reminder of the basis of my faith, that is FAITH in something we cannot see, TRUSTing in the One above who sees it all. Simplify hit me at the end of November, and I mean that almost literally. I usually don't start thinking about my word of the year until mid-to-late December, but one afternoon in November the word landed in my lap like a ton of bricks, nearly knocking the wind out of me. It was that reaction, the I'm-so-terrified-I'm-kind-of-excited moment, that made me certain it was the one. Simplify is not an easy, passive word. Simplify is active, a verb that necessitates movement. Simplify means taking a hard look at what is, and narrowing. Changing. Stripping things away. Simplify is not a word that has much room in my life these days. I over-complicated, over-schedule, and over-do it. Frequently. Simplifying means letting go, trimming the excess, choosing less over more. Slow over fast. No over yes. My insides are squirming just thinking about it. But that's what I wanted for this year, what I needed. Last year, I believed and I saw the Lord answer. This year I want to take what He has given me and steward it well: my time, my people, my job, my passions, my world. 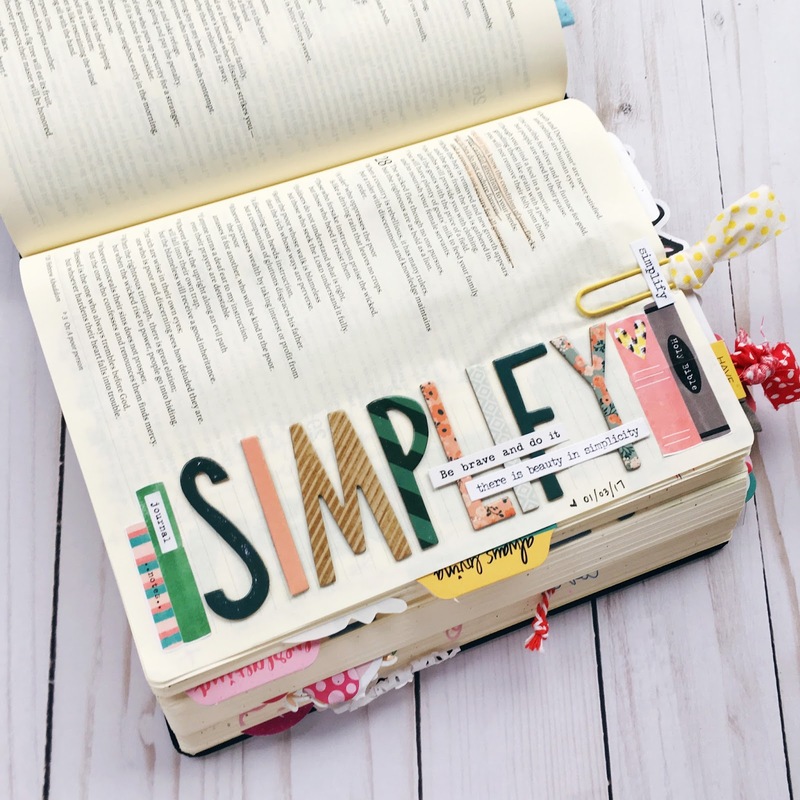 I want to simplify the way I fill my planner, saying yes to what's most important and no to the trivial. I want to simplify my routines, cultivating good, sustainable habits that will carry me forward. I want to simplify my belongings, learning to be content instead of craving what's trendy. I want to simplify to thrive, operating at my prime not in survival mode any more. I want to get back to the basics. I want to lift the weight of things and commitments and less-than-the-bests off my shoulders, walking in freedom, rest, and from a cup overflowing not one running on empty. That's what simplify means to me. That's why I'm excited. That's why I'm nervous. It is going to take day after day of actively choosing to take things out and put less in. It is going to mean some clean slates and some re-organizing of patterns that have settled in (intentionally or otherwise) that are causing too much noise or sputtering out on their own. It's going to be uncomfortable, and I know I won't be good at it right away. But, boy, am I excited to jump in! What about you? Have you chosen a word for the year for 2017?